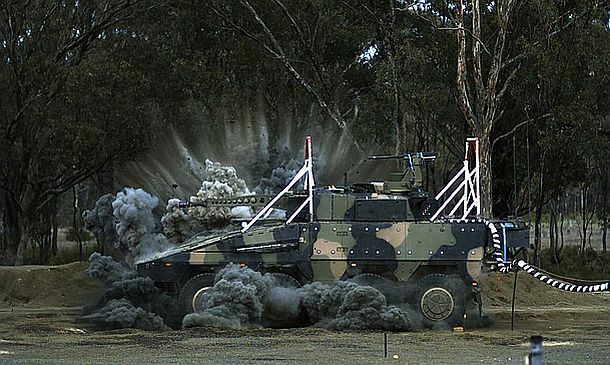 The Commonwealth's completion of blast testing on the two vehicles down selected for the Land 400 Phase 2 program (Mounted Combat Reconnaissance capability) has also marked the end of the Risk Mitigation Activity (RMA). The test and evaluation program assessed both the BAE Systems/Patria AMV35 and the Rheinmetall Boxer CRV and their support systems across a wide range of criteria, with a particular focus on protection, lethality and mobility. Three phases of user evaluations were conducted by Australian soldiers at Puckapunyal in Victoria and the Mt Bundey Training Area in the NT. The program also saw the vehicles drive aboard a LHD so they could be tested with the ships on-board systems. “The vehicles’ transportation compatibility was also tested using C-17 aircraft,” Defence Industry Minister Christopher Pyne said. 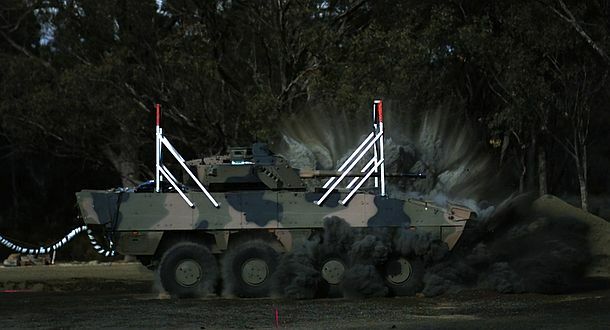 To assess their survivability, the vehicles were exposed to simulated mine blasts at Defence’s Proof and Experimental Establishment at Graytown in Victoria. According to the Minister, all testing was strongly supported by DST Group, “whose world-class capabilities ensured high quality outcomes were achieved”. Minister Pyne said the successful bidder will be announced in the first half of 2018.